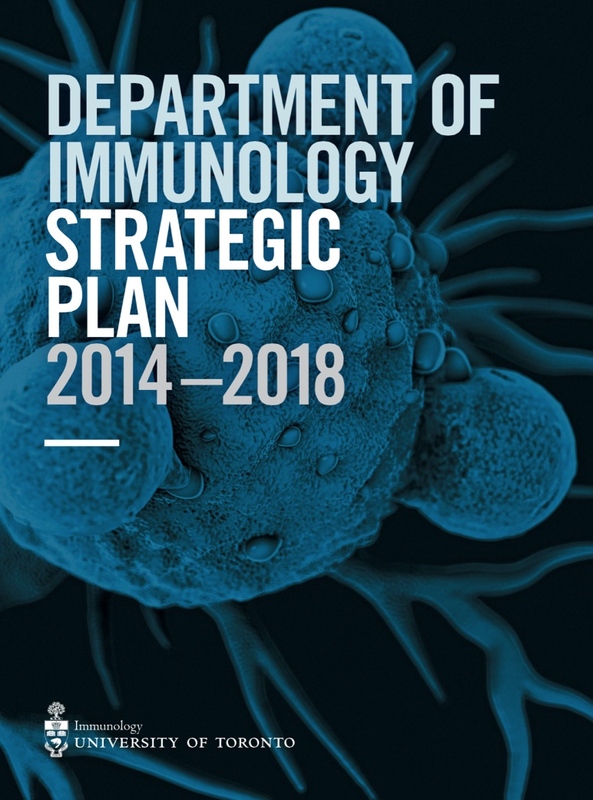 Although the Department of Immunology turned 30 years old in 2014, this is the first formal strategic plan developed for our Department. We undertook broad consultations with our stakeholders and outside experts to develop a set of structured guiding principles for the operation, academic mission and research direction of the Department of Immunology. I am extremely thankful to the members of the steering committee for their insights and advice, and to Dr. Jane Cooke-Lauder for her guidance during the entire planning process. Our Strategic Plan aligns well with the key themes of the Faculty of Medicine and the University of Toronto, as Impact, Innovation and Integration are part of the fabric of our plan. This plan provides a singular vision for the future of the Department of Immunology, achieved through the much appreciated effort and dedication of the Strategic Planning Steering Committee. I am confident that with the implementation of this plan, we will continue to advance the research and academic mission of our Department, and secure a strong future for Immunological discoveries and their applications at the University of Toronto.